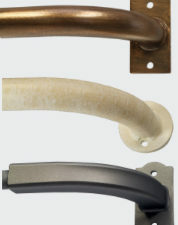 Drapery rod hardware is not only a fashion accent for your room, it is also functional. There are many variables to consider before you choose your hardware. Here are some tips for choosing the right drapery rods! 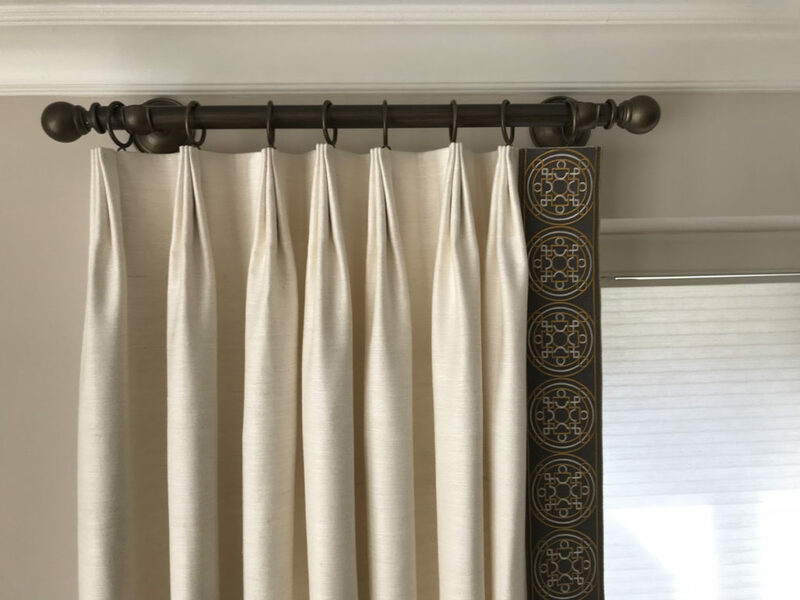 Custom draperies should be hung on custom rod hardware, which is significantly different than the mass market stocked hardware that you see in stores. 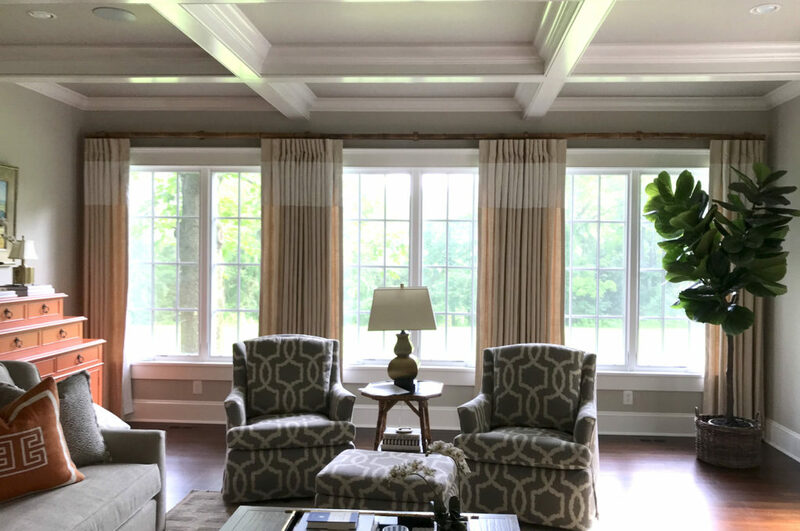 With custom draperies on mass market hardware, rods sag and brackets bend because they simply can not support the weight of custom draperies. 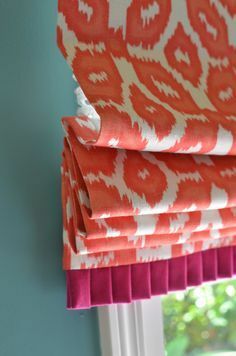 Custom draperies tend to be heavier due to their use of high-quality fabrics and linings and more fabric fullness per panel. 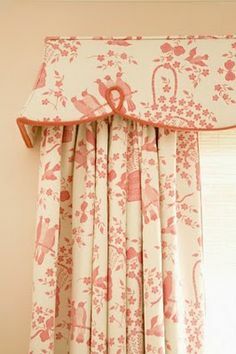 You should not use telescoping rods which usually have problems with sagging, plus rings get impeded by the bump when you are trying to open or close the draperies. Mass market rings are often too large for their corresponding rods and have a lower loop or clip which causes the draperies to twist and lay incorrectly. Mass market brackets are adjustable, which may sound convenient but instead causes them to be subject to sagging and they are not attractive with all their screws and slots. Also notice in this picture how the draperies do not have pleats to organize them to hang correctly. 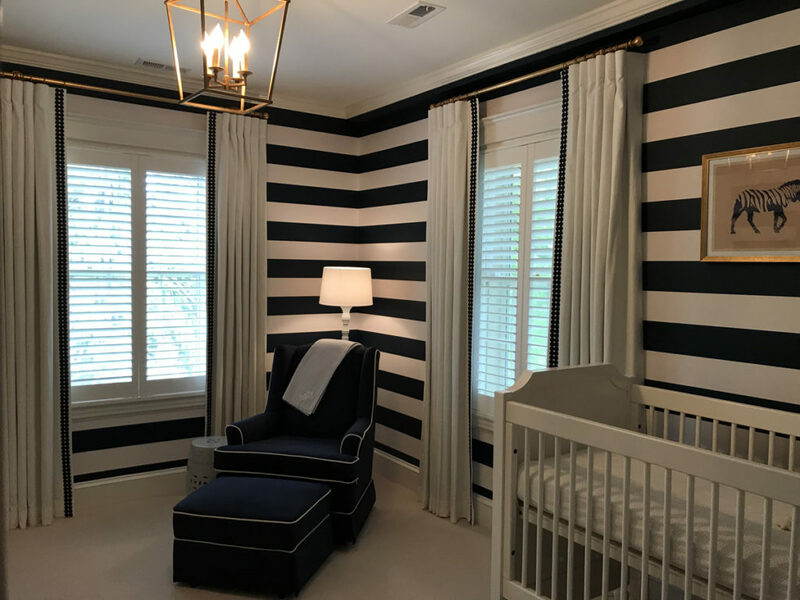 Custom draperies will be custom pleated to the width of your window for a perfect fit! 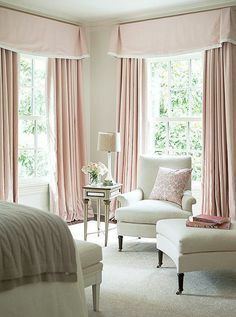 You will want to determine whether your draperies are to be operable or stationary based on how you plan on using them. 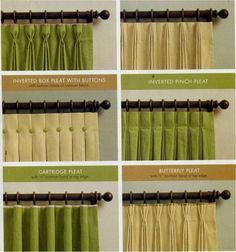 If you do not need the draperies to close, then for stationary panels you may consider short rods on either side of a large window. For operable draperies, where you can open or close the panels, you may consider a ringless cordless track rod for ease of operation. This rod is easily operated by pulling on hidden wands. Select a rod that works with the scale of the room and the weight of the draperies. Thin rod hardware up to 1” in diameter can only support sheer or light weight draperies. Medium diameters of 1 1/8” to 1 7/8” are the most commonly used for custom draperies. Large diameters of 2”-3” are best used with high ceilings and dramatic two story treatments to fit the proper scale of the space. Two inch diameter bamboo rods were used in this dramatic space. Look around your room at the wood, metal, and painted finishes. Choose a rod finish that complements and balances out the elements present in your room. Use a mix of textures to create depth and interest. Finials on the ends of the rods are like jewelry, there are so many styles to choose from. 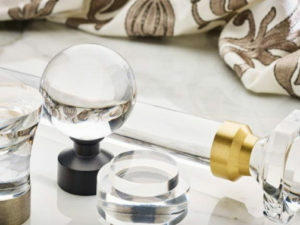 Let your room inspire you in your selection of finials that harmonize with your decor. The gold drapery rods here complement the other gold accents in this room. Metal rods are very popular right now in polished chrome, brushed nickel, brushed gold, and oil rubbed bronze. Wood rods are also showing up in washed finishes with the grain showing for a textured effect. 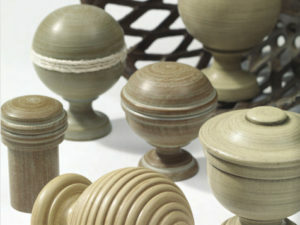 French rods with ends that curve back towards the wall are popular right now, as are acrylic finials and rods. There are so many more design choices and finish colors in custom rod hardware products than the stock rods you can find in stores. 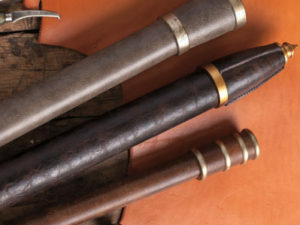 Expect custom drapery rods to cost in the range of $250-$500 for a four foot rod and $500-$1,000 for an eight foot rod. The beauty and functionality that will last for years make these rods more than a worthwhile investment in your home.